Pavement ants are rarely aggressive, but they can bite and sting when disturbed. Their sting can cause a mild discomfort in humans, but pavement ants are essentially harmless. 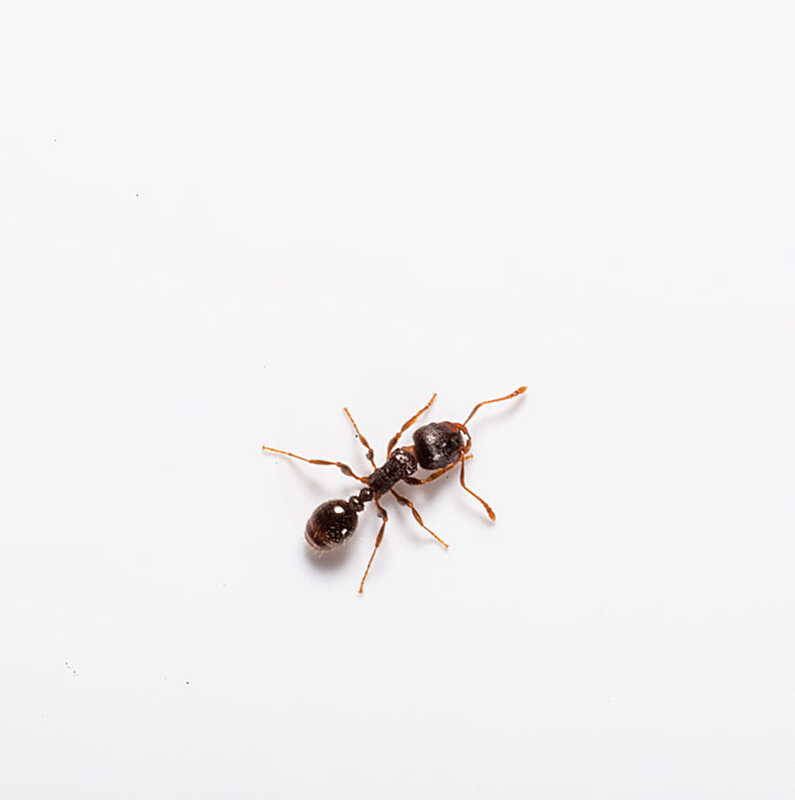 As their name suggests, pavement ants are typically found outside nesting under pavement sidewalks and driveways, beneath slabs and between walls. But they can easily get into homes and buildings through tiny cracks, around doors and windows and beneath sliding doors. 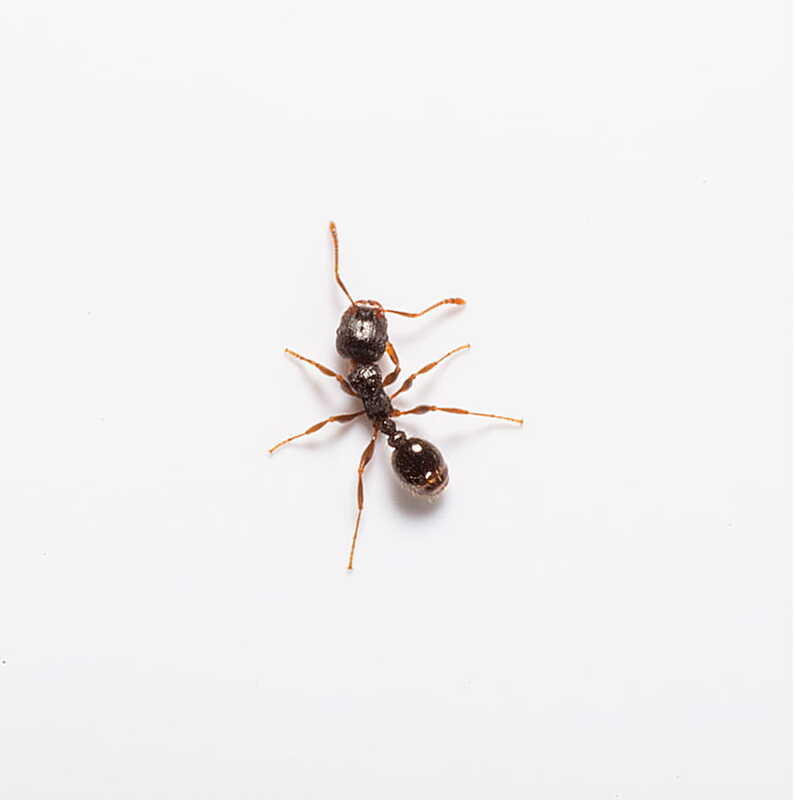 Though generally harmless, pavement ants can bite and sting when disturbed. The pavement ant is dark brown to blackish and 2.5 mm to 4 mm long. Its head and thorax exhibit fine parallel lines. Ants are one of the most successful groups of insects. During the warmer months, pavement ants are typically found outside nesting under pavement sidewalks and driveways, beneath slabs and between walls. But they can easily get into homes and buildings through tiny cracks, around doors and windows and beneath sliding doors. Pavement ants will eat almost anything, including other insects, seeds, honeydew, honey, bread, meats, nuts, ice cream and cheese. When a pavement ant queen finds a suitable nesting location, she will dig a founding chamber where she can lay her eggs. As the eggs hatch and the ants develop, they will spend their first two to three months tending to the queen of their colony. Are ants hazardous to humans? Yes. Since ants are attracted to foods, they can carry diseases from one area to another. What do pavement ants eat and where do they live? Pavement ants' nest in soil beneath slab and between walls, as well as under sidewalk and driveways. They feed on practically every kind of food with a preference in grease and oils. When are ants most common? During warm weather, ants can be seen outdoors. Swarms of ants (reproductive) are commonly seen in June or July. If you see ants inside your home during winter months, a pest control expert should be contacted. What can I do to prevent an infestation of ants? Good housekeeping practices such as keeping foods in sealed containers and areas free of spillage and crumbs will prevent ants, as will sealing of openings where ants may enter from.